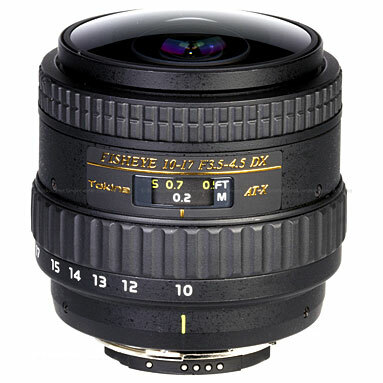 The new Tokina AT-X 107 DX is a full-frame fish-eye lens that gives the photographer a 180_ field of view with dramatic curvature of field or fish-eye effect. With this lens an entire view or vista can be captured, wider than the human eye can see. The AT-X 107 opens an entirely new dimension of photography.